With the rise of location-based services like Google Latitude, Foursquare and mapping applications, consumers are now well aware of the fact that their mobile phone is also a sort of homing beacon, that can pinpoint your location as you move around. That has all sorts of privacy implications and Apple felt the full force of consumers’ push-back last year when it was revealed the company was gathering location information from iPhone users without their knowledge. The fact that just about everyone in New Zealand has a phone in their pocket (mobile penetration is over 100 per cent which means some of us have two handsets), also suggests we have an incredibly powerful tool for analysing how the population moves around. 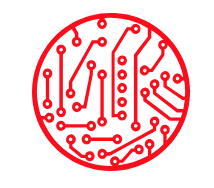 This involves getting data from the mobile phone network operators who can identify each and every mobile phone on its network with a unique ID. 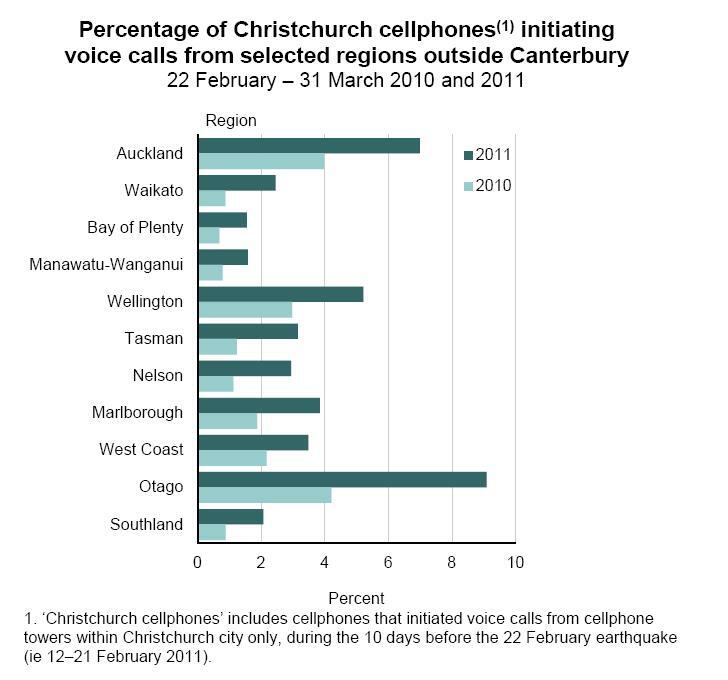 That’s exactly what Statistics New Zealand did recently to test whether mobile phone records could give an accurate snapshot of the geographic movements of Christchurch-based mobile phone users in the wake of the February 22 quake. Stats NZ received anonymized data on the movements of mobile phones that were active in Christchurch city in the run up to February 22. By tracking the location of the unique IDs linked to where voice calls and text messages were sent, researchers were then able to pinpoint where these people went in the wake of the quake, how far from the city they travelled – and when they came back. â€¢ by the end of April, inflows of visitors and new migrants to Christchurch from other areas of the country resumed. How useful is this information? Analysed after the fact, not particularly in relation to post-quake planning, but it raises the prospect of how this data could be used if it were obtained in real-time. Emergency services, councils, and other national and regional authorities need to gain a clear picture of population movements in the wake of a disaster so they can plan where to deploy their resources. It may be that people are flocking to the suburbs, away from the CBD and the mobile phone usage can indicate where temporary toilets or fresh water supplies should be located. It may reveal a flood of people to small towns outside the disaster zone, in which case support services can be mobilised in those other locations. Interestingly, the researchers found tracking text messaging resulted in a higher level of observed movement among the mobile phone users being studied. That’s because we send a lot more text messages than we make voice calls. This form of data collection isn’t perfect. You can’t for instance tell the permanence of relocation following an earthquake, the time of return to the original area of residence. Other sources, such as school re-enrolment data and New Zealand Post relocation data can fill in some of the holes. The study is interesting in the potential it points to for future data collection to study population movements and recent experience from a different disaster zone suggests this could help save lives. In January 2010, the Caribbean nation of Haiti was hit by a magnitude 7 earthquake that ultimately resulted in 300,000 deaths, with one million people left homeless. About a third of Haiti’s citizens had mobile phones at the time of the quake. Shortly after the disaster, public health researchers from Sweden started tracking movements using data from mobile network provider Digicell. The data revealed that 600,000 people fled Haitian capital Port-au-Prince immediately after the quake. That relieved pressure on aid groups in the city, but not for long. Soon, the phone maps showed, most of those refugees returned because there was no food in the countryside. Later, a cholera outbreak in the north of Haiti spread to Port-au-Prince, putting even greater pressure on already stretched medical services. Again the mobile phone data was used to pinpoint where people fleeing the outbreak were heading to – and potentially taking the infectious disease with them. It turned out that those regions were the ones where cholera found its way to. Digicell was also able to send text and voice mail messages to those people with information on how to try and avoid being inflicted with cholera. Just a couple of examples then of how mobile phone data can be useful in giving emergency services a picture of population movements in the wake of a disaster. As we use more advanced services on smart phones to update our location and services on social networks, the potential to gain an even more detailed view of these movements will only increase. Privacy is important for mobile users and expected by them, but the use of anonymized data to aid researchers in developing guidelines and best practice for emergency services in future disasters is highly valuable and worth pursuing.